Screen NSW has injected $585,000 into six new productions, including the anticipated Milperra Massacre series, Bikie Wars: Brothers In Arms. The state agency said the six projects, which are being assisted through the Production Investment Fund, was expected to contribute $10.7 million to the NSW economy in direct production expenditure. Bikie Wars, produced by Underbelly’s Screentime, will be shot in the state before the end of the year, according to Screen NSW. 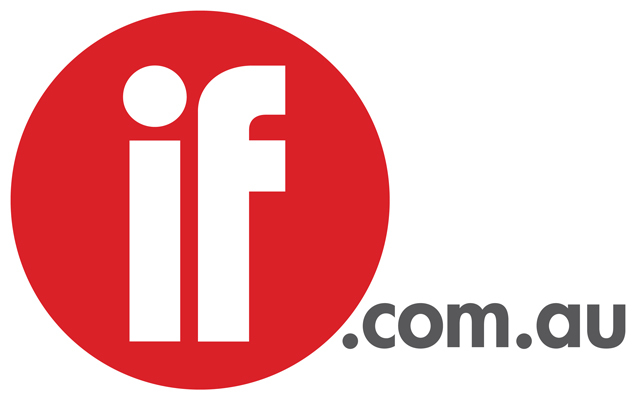 Channel Ten commissioned the series – which will focus on the leadup to the 1984 Milperra Massacre between two rival bikie gangs – earlier this year, as reported by IF. Seven people were killed in the Father’s Day massacre, including a 14-year-old innocent female bystander. The series – based on the Lindsay Simpson/Sandra Harvey book – will be written by Greg Haddrick, Jo Martino and Roger Simpson, and will be directed by Aviva Ziegler. Undertaking producing duties include Simpson and Peter Andrikidis. Also receiving finance through the Production Investment Fund are four factual series – Family Confidential Series Two, Go Back To Where You Came From Series Two, Making Couples Happy and Life At 7 – as well as a fulldome feature film: Rekindling Venues. The latter, “an immersive 26-minute work for fulldome theatres”, is a new project by artist Lynette Wallworth. The project aims to connect people around the world to the complex beauty of coral reefs and the potential for us to lose them in this lifetime. In addition, a $180,000 investment – through the Emerging Filmmakers Fund (EFF) – will contribute to six short film projects. The projects – between 9 and 13 minutes in length – include Sam’s Story, The Gift, Woody, Convenience, Awake and Reason To Smile. “This year alone, EFF films have screened in almost 60 festivals worldwide. I’m sure the six new short films that have been funded, will be equally successful when they are screened publicly in 2012 and will herald bright future careers for the filmmakers," NSW Arts Minister George Souris said in a statement. Souris also announced that Screen NSW has appointed a panel of service providers to deliver a screen production attraction, facilitation and local industry development service across regional NSW. The five Regional Screen Offices are Screen Illawarra South East, Screen Hunter Central Coast, Screen Central NSW & Western Sydney, Northern Rivers Screenworks and Film Broken Hill. “Regional Screen Offices (RSOs) play a critical role in ensuring regional NSW enjoys the cultural and economic benefits of screen production in our State,” Mr Souris said. In this financial year, Screen NSW has currently invested $2.25 million into 14 screen projects, which are expected to generate expenditure of almost $34 million in NSW over the coming months. Synopsis: Family Confidential takes us inside the homes and lives of some of Australia's most significant and influential families, revealing the private truths behind their famous public facades. Synopsis: "Brothers in Arms" tells the story behind the fatal feud between two outlaw motorcycle clubs that resulted in the Milperra Bikie Massacre in south-western Sydney on Fathers Day, 1984. Based on the book by Lindsay Simpson and Sandra Harvey. Synopsis: ReKindling Venus is a new project by artist Lynette Wallworth. An immersive 26-minute work for fulldome theatres, it aims to connect people around the globe to the complex beauty of coral reefs and the potential for us to lose them in this lifetime. Synopsis: Six Australians agree to challenge their preconceived notions about refugees and asylum seekers by taking a confronting refugee journey themselves for 25 days. Synopsis: Science can make individuals happy in only eight weeks. Can it save relationships too? Synopsis: Life at 7 continues the stories of 11 Australian children against the backdrop of the largest-ever longitudinal study on child development in this country, looking this time at temperament and peers. The series examines what it takes to give a child the best chance in life. Synopsis: Sometimes stories are all we have. Synopsis: Haunting and mystical, The Gift is a gothic tale about the transformative power of familial love. Synopsis: The story of a wooden doll who wants to play piano but doesn’t have fingers. Synopsis: When the body of an illegal immigrant falls from the sky, a convenience store assistant is forced to confront his apathy and prepare the body for burial. Synopsis: Christmas Eve, three estranged sisters, two different destinations, and one telephone call that reunites them. Synopsis: A promise Elijah makes to his mother and hides from his brother Jake brings life changing consequences.